i used to think keeping my skin dry and oil-free would mean i’d keep pimples and clogged pores away. this totally does not work: over-drying my skin actually made my skin produce more oil on top of dry skin – not attractive! overuse of oil blotting paper does the same. during my training with mylène fillion, national trainer for shu uemura, i learned one important thing: there’s a difference between dry skin and dehydrated skin. dry skin is a skin type, whereas dehydrated skin is when your skin is lacking moisture/hydration. when it’s dehydrated, it will produce more oil. 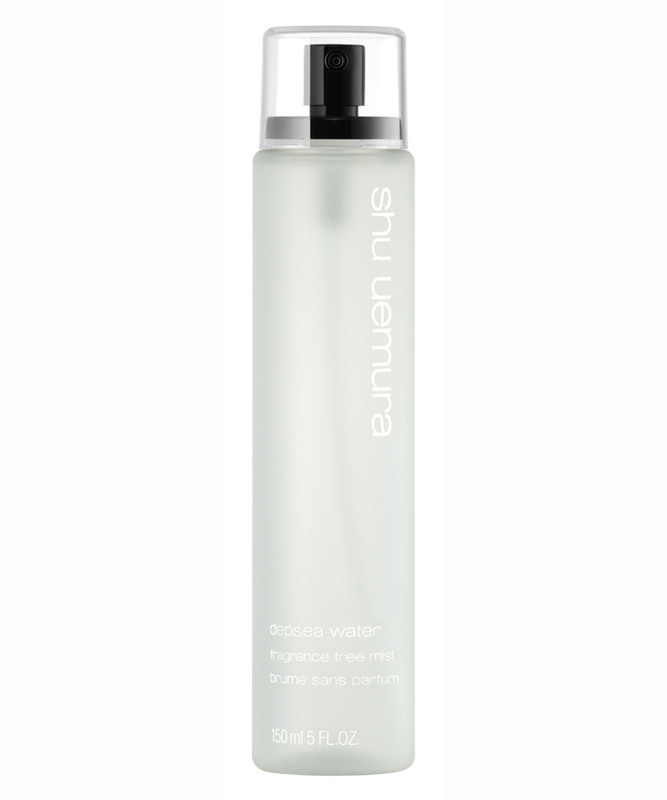 facial cleansers that leave the skin “squeaky clean” is dehydrating. the hydro-lipid layer of the skin is being stripped causing your skin to loose moisture. that’s why cleansing oils are much better for your skin. 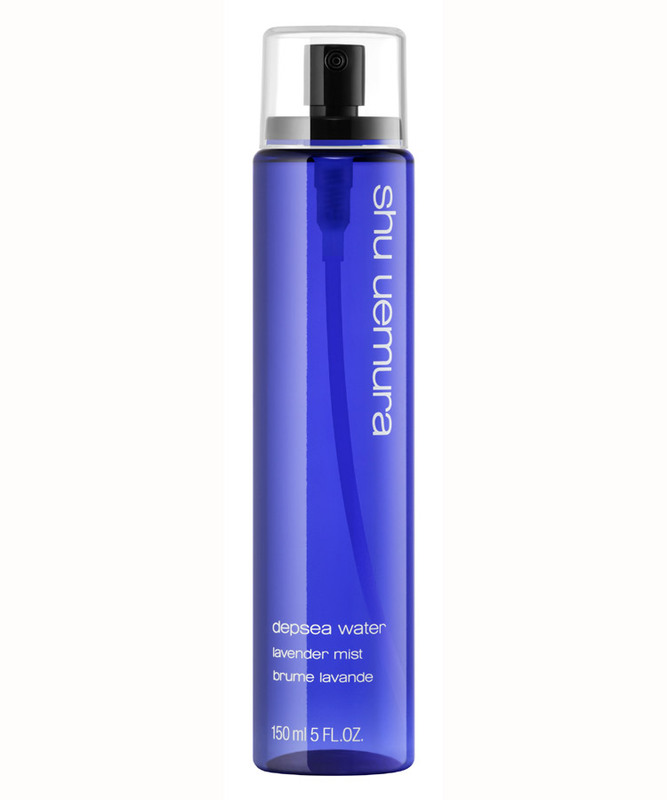 After I’m done cleansing my skin at night with the fresh cleansing oil, i use shu uemura depsea water facial mist in lavendar. it helps the absorption of lotion applied afterwards. shu uemura has different scents for different purposes – lavendar is calming so i like to use it before i go to bed. the rose one also smells amazing! during the day, i carry the fragrance-free neutral depsea mist with me. sometimes, my makeup doesn’t look as “fresh” as it did when i first applied it – not as dewy, more dull, so i just mist during the day. when it’s hot out, it helps with the greasiness, when it’s cold it helps with the flakiness. i think i’m officially obsessed. it’s quite a big bottle, not heavy to carry. it can be found at any holt renfrew location.